Eagle Wing Tours – is Canada’s first carbon neutral whale watching company and the first to donate 1% of their gross revenue to non-profits. The company supports a number of educational centres and research societies including: the Center for Whale Research, Pearson College / Race Rocks Ecological Reserve, Vancouver Aquarium Marine Science Centre, Saturna Island Marine Research & Education Society, Robert Bateman Foundation, Goldstream Volunteer Salmonid Enhancement Assoc., and the Sooke River Chinook Salmon Initiative. They are the only whale watching company to have partnered with Seafood Watch (Monterey Bay Aquarium) and Ocean Wise. Eagle Wing Tours came up with and initiated the $2 Wildlife Fee, with 100% of funds donated to the Center for Whale Research and the Pacific Salmon Foundation. They encourage the rest of the industry to follow suit and have had success raising additional funds to benefit the whales. Company efforts include having eliminated the resale of plastic water bottles on board their vessels as well as offering free tours for teachers. They are involved with the Ocean Walls program at Hillside Centre as well as their Sea Rangers Club (education and experience getting kids out on the water). Educating the next generation’s group of ocean ambassadors is one of the many causes at the heart of all they do. Lokafy – Lokafy, connects travellers with locals who have shared interests and are passionate about their home city. Locals, called, Lokafyers offer a personalized tour to travellers, providing an experience that is like having a friend show you around their home city. Lokafy started off in Toronto, Paris and New York and has quickly expanded with tours now available around the world. The company’s mission is to help people understand the world better, by making travel about the people you meet and not just the places you see. Explore – a tour company that offers small group tours, offsetting of carbon emissions, reduction of waste and supporting conservation projects – they also focus on their customers and helping them become more responsible travellers. They are the recipient of the Responsible Tourism Awards, British Travel Awards and Travel Trade Awards. Intrepid Travel – this company is one of the first and only carbon neutral tour companies (achieved in 2010), are a signatory of Global Compact and working towards being a B Corp company. They do all the right things like small group travel, employing local guides, staying in locally owned accommodation etc… but they were also the first company to ban elephant rides due to animal welfare and they also donated 100% of their profits from their Nepal trip after the earthquake to help rebuild the economy. Rainforest Expeditions– a Peruvian Ecotourism company has offered experiences to guests since 1989. Showcasing harmony in nature and community involvement. They operate three lodges: Posadas Amazonas,Refugio Amazonas& Amazonas Villas. Set up to protect the area from uncontrolled logging, the organization have built a research centre, assist with protection of local species and work with the local community. This company has worked with the local community for over 18 years and is possibly the most important source of income for the local aboriginal community. It also offers some of the best birding in the Amazon! National Holidays – travelling by coach can reduce your impact on the environment and this company is starting to understand the benefits of reducing emissions and promoting ecotourism type adventures. Sumak Travel, or “good, sustainable travel”, is a tour operator and social enterprise which specialises in community-based eco-tourism (CBET). They work closely with community organisations and networks in Latin America which offer sustainable tourism options for national and international visitors. Typically these organisations are groups of farming and indigenous communities, fishing villages, and shanty town dwellers, who offer a combination of local accommodation, ecotourism, cultural tours, a chance to experience local cooking, and visits to national parks and other attractions. A fair-trade logic applies, so tourists are paying a fair price in exchange for high quality and often unique products and services, within a context of transparency and equality. 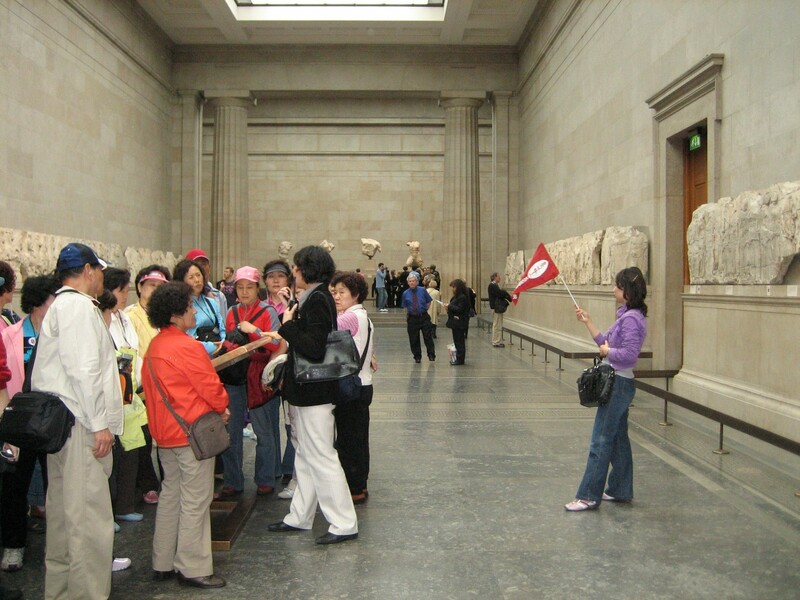 For tourists it is a genuine and rich experience. They get to know the local traditions, get involved in cultural activities and have the opportunity to see unspoilt nature and eco-systems. For the local communities, CBET is an additional source of revenue, to complement (and not replace) their current livelihoods (such as fishing, farming, etc). This makes each community more economically resilient and better able to cope with fluctuations in earnings (for example as a result of poor harvests in some years). Local community members decide how much and how far tourism is developed, and the pattern so far has been for the activity to be kept in harmony with the local environment, land use, culture, and traditions. In fact, moderate tourism revenue has encouraged communities to act as custodians of the local environment and culture. Sumak Travel increases the global visibility of these destinations and creates market channels for the local community-base tour operators. Its profits are reinvested into the business to support local communities wanting to start CBET initiatives (increase the offer) and to reduce transactions costs. They also compensate CO2 emissions by supporting environmental preservation in the Amazon Rainforest, in partnership with The Bloomtrigger Project. Porino Ecotourism Ltd. This safari company works with local Masai communities to help protect and preserve lands. The campsites use only renewable energy and limits its number of guests. This operator gives a proportion of its profits back to help protect endangered primates. They also provide their clients with a details what to do list for responsible tourism as well as specific rules for visiting gorillas and other primates. – are on the judging panel for the British Airways Tourism for Tomorrow Awards. The site believes that responsible travel is travel that benefits travellers, hosts and their environments and their public relations has proven their effectiveness. For more information, please contact www.responsibletravel.com. was one of 10 most improved companies in the UK Business in the Environment Index in 2004. Unfortunately, the report does not outline any specific or measurable results achieved in 2005. Canadian Mountain Holidays recognized for their commitment to sustainable tourism. CMH strives to promote understanding and awareness of sustainable tourism on-line. The CMH site features a dedicated Stewardship section, which allows readers to explore the award winning Second Nature program, view on-going sustainability reports, and to learn more about company-wide environmental and social initiatives. Air Transat supporting sustainable tourism in Cuba. Transat A.T. Inc. is supporting four sustainable tourism projects, including one launched by World Wildlife Fund Canada (WWF-Canada) to improve protection of ecosystems in Cuba by promoting the adoption of a sustainable tourism policy.